For those of you who are the adventurers, the sightseers, the trendsetters, the explorers at heart; no matter your journey, drive like no other! Regardless of your vehicle’s itinerary, Mercedes-Benz of Gainesville wants you to arrive in superb comfort. During the Mercedes-Benz Summer Event, take advantage of exceptional offers and drive the Mercedes-Benz of your dreams! 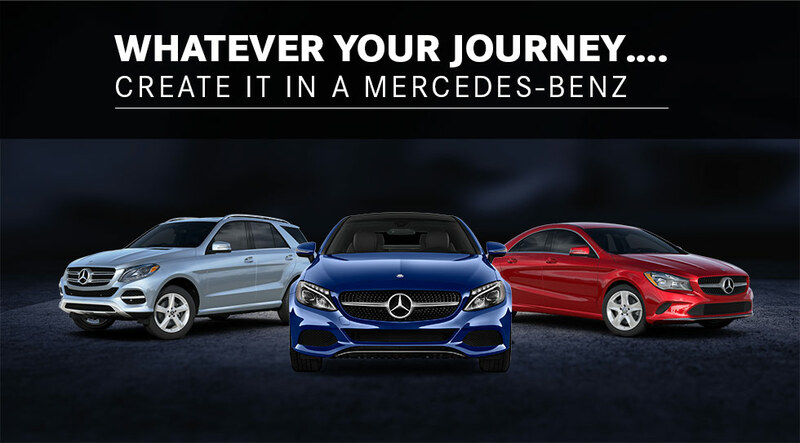 Explore the sporty C-Class Sedan, the versatile GLA, or the turbocharged GLC. Browse our offers below, then start your trek today. Available only to qualified customers through Mercedes-Benz Financial Services at participating dealers through July 02, 2018. Not everyone will qualify. Advertised 36 months lease payment based on MSRP of $35,495 less the suggested dealer contribution resulting in a total gross capitalized cost of $34,092. Dealer contribution may vary and could affect your actual lease payment. Includes Destination Charge and Premium 1 Package. Excludes title, taxes, registration, license fees, insurance, dealer prep and additional options. Total monthly payments equal $11,484. Cash due at signing includes $2,653 capitalized cost reduction, $795 acquisition fee and first month’s lease payment of $319. No security deposit required. Total payments equal $14,932. At lease end, lessee pays for any amounts due under the lease, any official fees and taxes related to the scheduled termination, excess wear and use plus $0.25/mile over 30,000 miles, and $595 vehicle turn-in fee. Purchase option at lease end for $20,232 plus taxes (and any other fees and charges due under the applicable lease agreement) in example shown. Subject to credit approval. Specific vehicles are subject to availability and may have to be ordered. See participating dealer for details. Please always wear your seat belt, drive safely and obey speed limits. Available only to qualified customers through Mercedes-Benz Financial Services at participating dealers through July 02, 2018. Not everyone will qualify. Advertised 36 months lease payment based on MSRP of $53,945 less the suggested dealer contribution resulting in a total gross capitalized cost of $52,374. Dealer contribution may vary and could affect your actual lease payment. Includes Destination Charge. Excludes title, taxes, registration, license fees, insurance, dealer prep and additional options. Total monthly payments equal $20,484. Cash due at signing includes $3,719 capitalized cost reduction, $795 acquisition fee and first month’s lease payment of $569. No security deposit required. Total payments equal $24,998. At lease end, lessee pays for any amounts due under the lease, any official fees and taxes related to the scheduled termination, excess wear and use plus $0.25/mile over 30,000 miles, and $595 vehicle turn-in fee. Purchase option at lease end for $31,828 plus taxes (and any other fees and charges due under the applicable lease agreement) in example shown. Subject to credit approval. Specific vehicles are subject to availability and may have to be ordered. See participating dealer for details. Please always wear your seat belt, drive safely and obey speed limits. Available only to qualified customers through Mercedes-Benz Financial Services at participating dealers through July 02, 2018. Not everyone will qualify. Advertised 36 months lease payment based on MSRP of $52,915 less the suggested dealer contribution resulting in a total gross capitalized cost of $50,316. Dealer contribution may vary and could affect your actual lease payment. Includes Destination Charge, Premium 1 Package and Heated Front Seats. Excludes title, taxes, registration, license fees, insurance, dealer prep and additional options. Total monthly payments equal $16,164. Cash due at signing includes $3,089 capitalized cost reduction, $795 acquisition fee and first month’s lease payment of $449. No security deposit required. Total payments equal $20,048. At lease end, lessee pays for any amounts due under the lease, any official fees and taxes related to the scheduled termination, excess wear and use plus $0.25/mile over 30,000 miles, and $595 vehicle turn-in fee. Purchase option at lease end for $29,103 plus taxes (and any other fees and charges due under the applicable lease agreement) in example shown. Subject to credit approval. Specific vehicles are subject to availability and may have to be ordered. See participating dealer for details. Please always wear your seat belt, drive safely and obey speed limits. Available only to qualified customers through Mercedes-Benz Financial Services at participating dealers through July 02, 2018. Not everyone will qualify. Advertised 36 months lease payment based on MSRP of $52,345 less the suggested dealer contribution resulting in a total gross capitalized cost of $51,374. Dealer contribution may vary and could affect your actual lease payment. Includes Destination Charge and Premium 1 Package. Excludes title, taxes, registration, license fees, insurance, dealer prep and additional options. Total monthly payments equal $19,764. Cash due at signing includes $3,739 capitalized cost reduction, $795 acquisition fee and first month’s lease payment of $549. No security deposit required. Total payments equal $24,298. At lease end, lessee pays for any amounts due under the lease, any official fees and taxes related to the scheduled termination, excess wear and use plus $0.25/mile over 30,000 miles, and $595 vehicle turn-in fee. Purchase option at lease end for $29,837 plus taxes (and any other fees and charges due under the applicable lease agreement) in example shown. Subject to credit approval. Specific vehicles are subject to availability and may have to be ordered. See participating dealer for details. Please always wear your seat belt, drive safely and obey speed limits. Behind the wheel of a Mercedes-Benz, drive with total confidence as you chart every adventure. Begin your expedition at the Mercedes-Benz Summer Event. 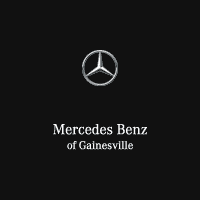 The road starts at Mercedes-Benz of Gainesville.